SAN FRANCISCO -- A California mayor was charged Thursday with providing alcohol to young adults last summer and making a secret recording of what prosecutors said was a game of strip poker that included a 16-year-old boy at a camp for underprivileged children run by the mayor. 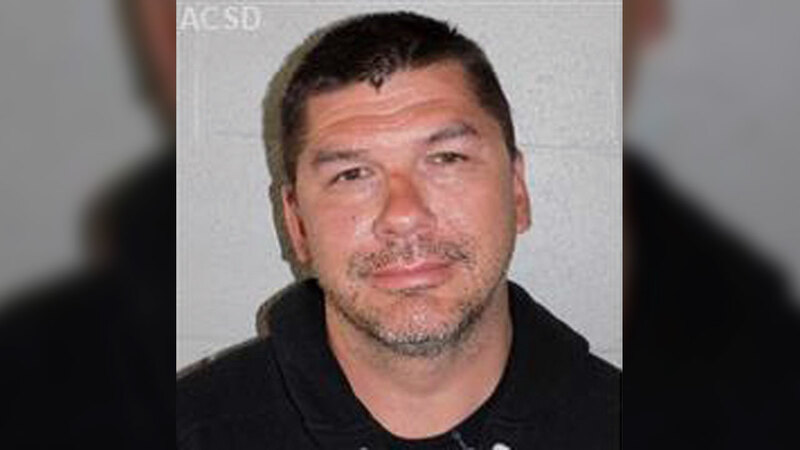 It marked the latest scandal for Stockton Mayor Anthony Silva, 41, a self-declared champion of children who faces a tight re-election contest this fall to lead the city of 300,000 people in the Central Valley. The charges came a week after the Stockton Record reported that a gun stolen from Silva's home during a burglary was linked to the killing of 13-year-old Rayshawn Harris in Stockton early last year. The mayor is accused of not reporting the gun as missing until a month after the boy was killed. Attorneys for Silva said he had nothing to do with the killing and was the victim of a crime. They also said he denied the charges filed Thursday. "He's angry and he's going to fight it," said lawyer Allen Sawyer. "But his biggest concern right now is not to disrupt the at-risk youth up at the camp." Silva posted $20,000 bail and was released from jail a few hours after his arrest. He waved a brief goodbye to a deputy who escorted him outside. Silva wore the same black T-shirt, shorts, white socks and sandals that he was wearing when arrested at the camp. He declined comment as he walked through a media scrum and was driven off in a black SUV with tinted windows. The mayor's government website describes him as a Stockton native who "has a passion for helping youth." Elected to office in 2012, he is a single father who served as chief executive of the Boys and Girls Club of Stockton from 2005 to 2013, as well as a school board member and president. Silva was charged in Amador County with a felony of secretly recording confidential communications without consent. He also faces misdemeanor charges of contributing to the delinquency of a minor, providing alcohol to people under 21 and child endangerment. The charges stem from an FBI search of Silva's cellphone last year, after he was stopped briefly at San Francisco International Airport by authorities who confiscated his laptop and cellphone as part of an unspecified investigation. The FBI turned over contents of the cellphone to Amador County on July 26. The contents included nearly two dozen photographs of people who appeared to be under 21 in possession of alcohol or near alcohol, said Amador County District Attorney Todd Riebe. He declined to say what federal authorities were investigating when they seized the phone. Riebe said one of four video recordings found on Silva's cellphone was of a strip poker game that took place in the mayor's bedroom at the Stockton Silver Lake Camp in August 2015. The video contains mostly audio after players in the room said they didn't want to be video recorded, Riebe said. The mayor was in the room and participants indicated they were naked, the prosecutor said. Witnesses also told the FBI that Silva had provided alcohol to the half-dozen male and female camp counselors, five of whom were at least 18 and under 21. "It's strip poker with one minor and young adults and he's in charge of that camp," said Riebe. "These counselors are responsible for 75 kids." Before Silva was charged, the Stockton Police Officers Association endorsed his opponent Michael Tubbs, citing his commitment to cooperation with police in establishing good practices.